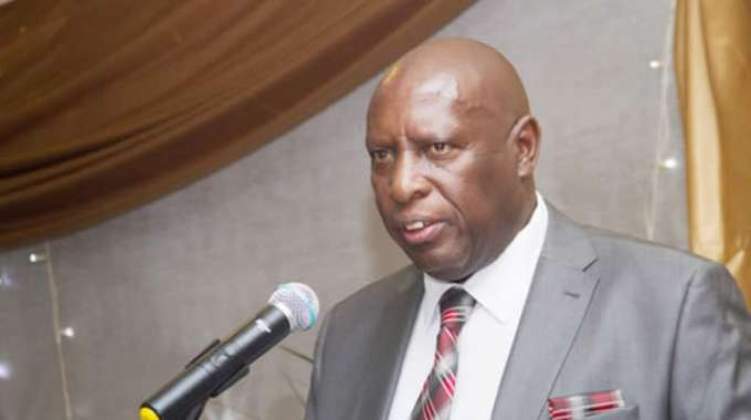 FORMER Energy minister Samuel Undenge, who is facing criminal charges after he allegedly authorised the Zimbabwe Power Company (ZPC), in January 2016, to engage Fruitful Communications without going to tender, has accused the State of having a hand in his prosecution. Undenge made the remarks in the court application filed at the High Court this week challenging Harare regional magistrate Hosea Mujaya's determination in which he dismissed the ex-minister's application for discharge at the close of the State case. "These inconsistencies (during the trial) show that the State witnesses were not telling the truth and had conspired to falsely incriminate me at the instigation of the State," Undenge said. "Further, none of the witnesses said categorically that what I had done was wrong, let alone constituted criminal conduct. This being the case, there was no basis upon which the magistrate could hold that the State had established a prima facie case." According to the prosecution, television personality Oscar Pambuka and Zanu-PF MP Psychology Maziwisa are media executive and director of Fruitful Communications, respectively. It is the State's case that Undenge allegedly wrote a letter to ZPC directing it to closely work with Fruitful Communications, which letter resulted in the power utility company being prejudiced of a substantial amount of money. In his application for review before the High Court, Undenge claims Mujaya grossly erred in dismissing his application for discharge. "Having accepted that my (Undenge) defence was clear and that I did not know Oscar Pambuka and Psychology Maziwisa except for the business contact, that I was not related to them, that I did not expect to be paid, that I was not paid anything and that I did not direct the ZPC managing director of executive public relations office to hire it, the magistrate ought to have held that, therefore, I lacked the necessary intention to commit the crime in question," he said. "The court (Mujaya) said I must be put to my defence to explain the letter. I humbly submit that this approach is incorrect. What the court did is tantamount to putting the onus on me to prove my innocence." Undenge further said putting him on his defence would go against "the grain of the uncontroverted evidence", adding the magistrate had failed to take into account the numerous inconsistencies in the State's case. In his defence, Undenge submitted he was duped by Maziwisa, Pambuka and Fruitful Communications into writing a letter recommending the awarding of the tender to the three parties. The ex-minister also said initially, he was a witness in a criminal matter against Maziwisa and Pambuka, before the Zimbabwe Anti-Corruption Commission's commissioner Goodson Nguni convinced the State to pursue charges against him.